This has been a busy week for our businesses around town! I try to keep the articles here limited to just a single topic, but we’re getting so far behind right now that I’m forced to combine three into one! 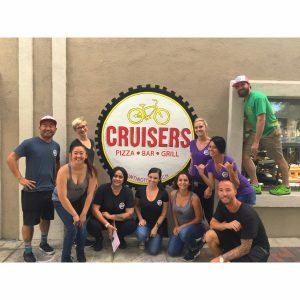 Tuesday night, Cruisers Pizza Bar & Grill opened their second location just a few days after their 3-year anniversary for their first location in Balboa (where Dillman’s and Shorehouse used to be). The new location, at 210 5th Street in Huntington, is just as large as the first but with a fresh, funky feel. 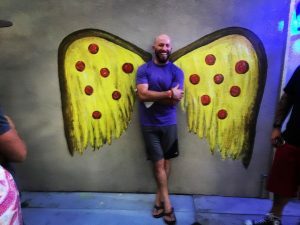 Menus and drinks are exactly the same as the original, but if you’ve seen the classic “angel wing” pictures from the House of Blues in Los Angeles, you’ll love the “pizza wings” that you can pose with in the front of the venue. 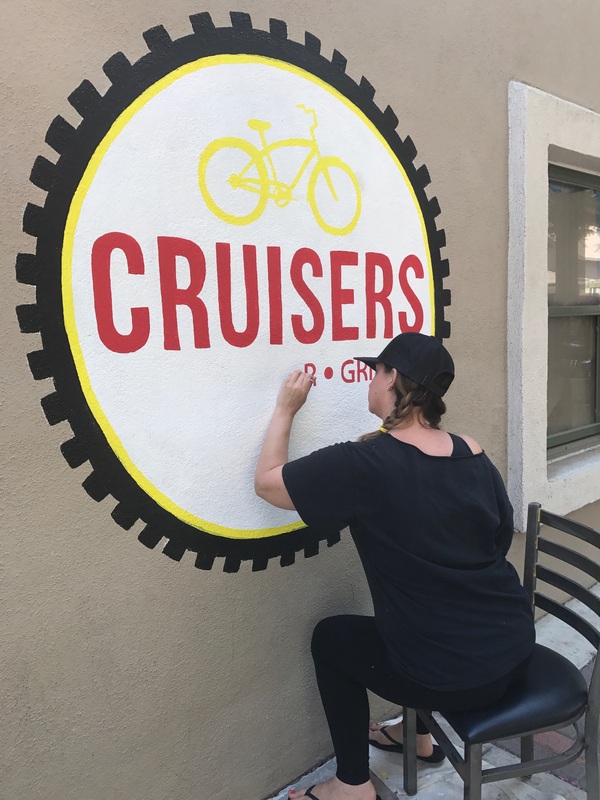 The soft-opening continues with them opening at 4pm until Friday, when they will begin opening at 11am and staying open until 1am. If you find yourself in the Huntington area craving the best pizza west of the Mississippi, you’ve definitely got to check them out! Wednesday morning at 6am made for a good time to open the full-bar section at Dory Deli. 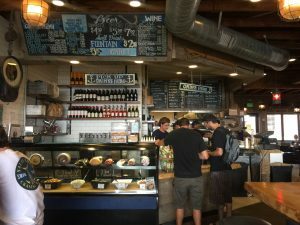 As seafood and sandwich lovers know, this location has a beautiful view of the ocean on Blackies surf break, and is famous for their poke bowl– even though I always get their italian sandwich and fries. 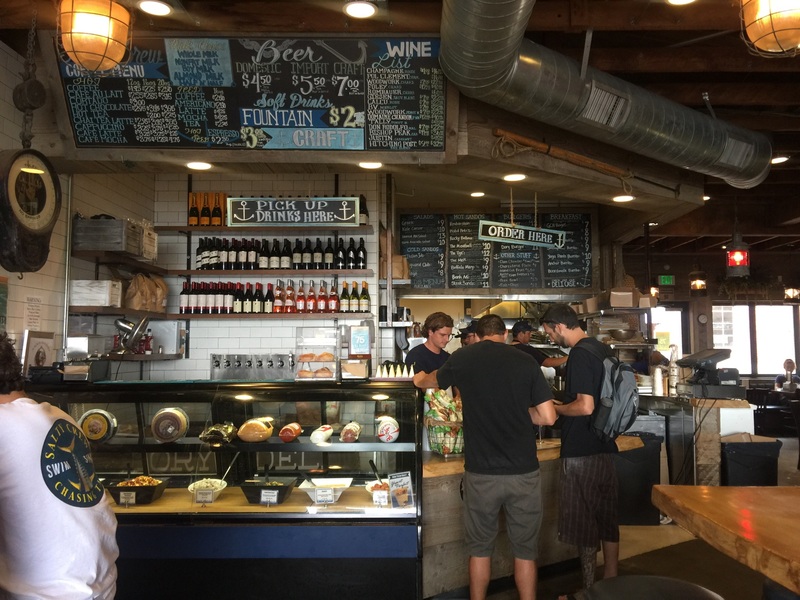 Dory Deli will begin staying open from 6am until 1am with all your favorite flavors of both food and drink. This statue is dedicated to the ocean beach lifeguards around the world who work to keep beaches safe. The memorial was inspired by a heroic act that took place on July 6, 2014 a few blocks from this location. 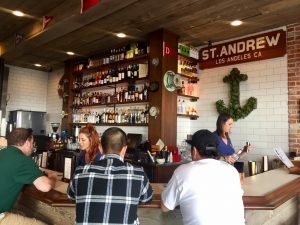 It occurred at the end of a busy 4th of July weekend that was marked by warm conditions, abnormally large and turbulent surf, and giant crowds. Newport Beach Lifeguards made 562 rescues that holiday weekend. Many of those were dramatic lifesaving events that resulted in relieved and reunited families, but the next rescue would not. 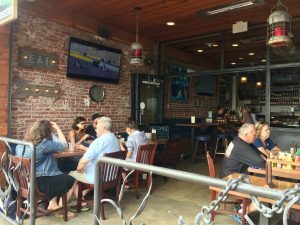 At 5:15pm, Newport Beach Lifeguards Ben Carlson and Gary Conwell were patrolling beyond the large surf in a NBLG rescue boat when they spotted a distressed swimmer. Ben jumped from the boat and after a long swim made contact with the man. As they began to make their way back out to the rescue boat, both were hit by a large wave and taken over the falls. The distressed swimmer made it to the surface and was rescued, but Ben was missing. A 3 hour search ensued that included members from 7 agencies including Newport Beach Lifeguards, Fire, Police, Orange County Sheriff’s Harbor Patrol, Huntington Beach Lifeguards, Laguna Beach Lifeguards, and State Parks. Ben was eventually located more than half a mile away from the original rescue location at 8pm and was transported by Newport Beach Paramedics to the hospital where he was pronounced deceased. He was the first and only Newport Beach Lifeguard to die in the line of duty since the service was formed in 1923. Ben had just turned 32 and had proudly served as a Newport Beach Lifeguard for over 15 years. He was a lover of the ocean and an accomplished and dedicated waterman having surfed big waves around the world and explored the beaches on distant shores. 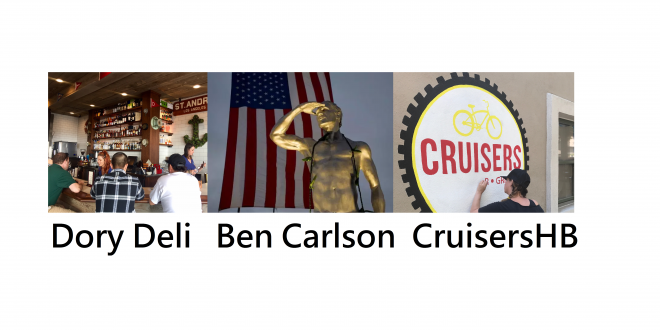 Ben was a Division 1 Collegiate water polo player at UC Irvine and a strong, competitive swimmer. He gained his love and appreciation of the water from his family who introduced him to the ocean during a lifetime of beach-going, surfing and sailing. 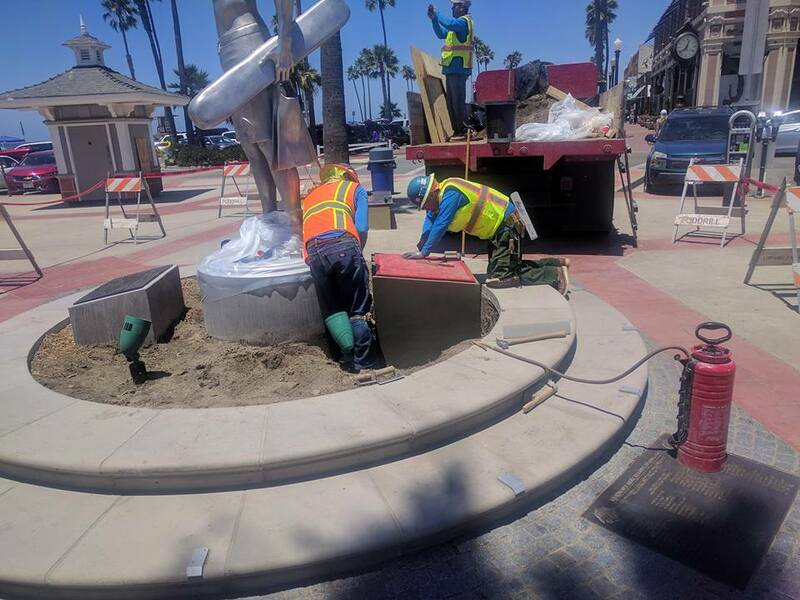 The statue of Ben was gifted to the City of Newport Beach by the Ben Carlson Memorial & Scholarship Foundation, a group of family, fellow lifeguards, and friends who all loved Ben. The funds were provided by many incredible individuals and organization, some of whom are listed on the plaques surrounding the memorial. The Foundation continues to operate in Ben’s name, providing annual scholarships, serving the under-resourced children and most importantly working to develop and improve systems to protect lifeguards and the public from a wonderful, but non-forgiving ocean.